The ban pertaining to Social Security beneficiaries is now tucked into the â€œmental healthâ€� aspects of Obamaâ€™s executive gun control. Again, the push for a ban on gun possession for certain Social Security beneficiaries was already in the works during the summer, but it is also incorporated into the â€œmental healthâ€� aspect of Obamaâ€™s executive gun control. And this means that information on beneficiaries who meet the criteria of mental impairmentâ€“demonstrated in part by an inability to manage their own benefitsâ€“will be added to the National Instant Criminal Background System (NICS) so that the beneficiaries cannot buy a gun. My opinion....Anything Obama does to mess with the 2nd Amendment will hurt Hillary and Hillary knows it. This will bring most gun owners---Republicans, Independents, some Democrats, Veterans, etc----TO THE POLLS. They've already done this to military members. They send somebody to a hell-hole repeatedly, then ask them if they're feeling OK. If they say, â€œNo.â€� and attempt to seek psychological help, then they get diagnosed with PTSD. Upon separation, they're offered money for a disability. What they don't tell the member is that they'll NEVER be able to own a gun for the rest of their lives because of that diagnosis. Doesn't matter if 50 years has gone by since then. People are posting VA letters received where they're â€œdeclaredâ€� incompetent and â€œunable to manage their own affairs.â€� Same thing applies once that happens. Today, the President picked up his â€œphone and his penâ€� and continued his assault on the Second Amendment. Those are just the highlights. There is much more, and you can read additional analysis of the Presidentâ€™s imperial diktat here. But bottom line: Having failed to get gun control legislation passed in Congress, Obama is doing what he always does when he canâ€™t get what he wants. Heâ€™s circumventing Congress and enacting â€œlegislationâ€� by executive fiat. The President also wants to take America back 30 years -- prior to the reforms in the Firearms Protection Act of 1986 -- and unleash a horde of additional ATF agents to entrap law-abiding Americans who are supposedly â€œengaged in the businessâ€� of selling firearms. So if youâ€™re financially strapped in this Obama economy and want to make a few bucks selling off the firearms in your home, look out. You could be â€œsentenced up to five years in prison and fined up to $250,000â€� if you are subsequently determined to have â€œengaged in the businessâ€� of selling an unspecified number of firearms without a license. While several presidential hopefuls have already indicated they would repeal the Obamaâ€™s executive actions if elected, the GOA-endorsed candidate, Ted Cruz, has promised to erase Obamaâ€™s gun control legacy. "[The President] has a phone and he has a pen, but if you live by the pen you die by the pen, and my pen has got an eraser," Cruz said. Second, Gun Owners of America will be working with legislators on Capitol Hill to â€œdefundâ€� the presidentâ€™s unlawful orders. This is the preferred â€œshort termâ€� approach because these no-funding provisions can be attached to â€œmust passâ€� bills that the president will sign. Stay tuned for future alerts to this effect. Finally, we are pleased to announce that a new executive director became the official spokesman for Gun Owners of America on January 1 of this year. As you know, Larry Pratt has guided our organization for almost 40 years as the organizationâ€™s executive director. He will remain quite active as GOAâ€™s Executive Director Emeritus -- conducting media interviews and hosting his weekly radio program, the GOA NewsHour Radio. Erich Pratt, who has served in various roles with the organization for over 25 years -- and for the last decade as the Director of Communications -- has now stepped into the role of Executive Director. For all of the leadership and staff at GOA, we want to wish you a Happy New Year. Itâ€™s unfortunate that we must begin 2016 with our freedoms under attack. But that is why Gun Owners of America is here, fighting a no-compromise battle to protect your right to keep and bear arms. Thank you for your support and for your activism. Itâ€™s what gives us the encouragement to continue fighting for our rights. I used to think the VA was there to help veterans, that they were some sort of advocate. But after seeing what I've seen and hearing what I've heard, I now believe that the VA has always been there to track and manage veterans (which the government has always considered a threat) at the pleasure of the executive branch. They're not really interested in helping vets and would rather see them die off after their usefulness has ended. We see this repeatedly with VA hospital nightmares that never improve. That's intentional. The only thing that forces the VA to maintain an appearance of giving a **** is the occasional public relations scandal. A note to the wise---never, ever give your doctor more info than he needs. Never tell him you are feeling down or depressed because this info will soon go to the FBI and may take away your right to own a gun. Psychologists could diagnose conservatives, libertarians with "Oppositional Defiant Disorder in adults"
Americans critical of government could have their Second Amendment rights restricted if psychologists diagnose them with â€œOppositional Defiant Disorderâ€� or a similar diagnosis as a result of Obamaâ€™s new gun control executive action. The Diagnostic and Statistical Manual of Mental Disorders: Fifth Edition (DSM-5), which the American Psychiatric Association uses for psychiatric diagnosis, defines â€œoppositional defiant disorderâ€� as a â€œrecurrent pattern of negativistic, defiant, disobedient, and hostile behavior toward authority figuresâ€� which typically begins at a young age but can survive into adulthood. In other words, an Obama-supporting psychologist could potentially diagnose conservatives and libertarians with â€œOppositional Defiant Disorderâ€� due to their criticism of authority, particularly the federal government, and then report them to the FBI as too â€œmentally unfitâ€� to purchase a gun. â€œIf 7-year-old Mozart tried composing his concertos today, he might be diagnosed with attention-deficit hyperactivity disorder and medicated into barren normality,â€� George F. Will with the Washington Post lamented. And Obamaâ€™s latest gun control executive order is heading in the same direction. â€œI would love to see the bearded wonder Paul Ryanâ€”heâ€™s got to lose that beard, it makes him look ridiculous that beard, he should shave it, that is just horribleâ€”that bearded wonder Paul Ryan giving Obama funding for his lawless behavior for the next 12 months,â€� Ingraham said. Removes congressional oversight, meaningful oversight through the power of the purse. Congress could have shut this thing before it even started, but no the bearded wonder came out and said â€˜going forward weâ€™re going to do things differently but we need to start the new year without the threat of a shutdown hanging.â€™ The bearded wonder has now given Obama the running room he needed to go for the guns. The bearded wonder. I liked him before the beardâ€”I think heâ€™s been worse since the beard. Ingraham is absolutely correct that Ryan could have stopped this whole executive gun control before it ever even started had he been willing to use the power of the purse, which Congress has essentially surrendered since Obama was elected president. Ryanâ€™s predecessor, now former Speaker , wouldnâ€™t use the power of the purse to stop Obamaâ€”and now Ryan has not only followed in Boehnerâ€™s footsteps of funding Obamaâ€™s efforts to fundamentally transform America, Ryan has accelerated those efforts. The "Gun Show Loophole" Lie: There is no "gun show loophole." Contrary to leftist mythology, criminals and terrorists don't skirt existing laws and purchase crateloads of guns at gun shows. Probably 95% or more of the vendors at gun shows are licensed dealers, who have to abide by the same federal regulations as they do in brick-and-mortar stores. Individual sellers who make an occasional sale are exempt from dealer regulations. Has Obama ever been to an actual gun show? The problem is not that there are too many individual sellers, but too few â€“ dealers often charge inflated prices, while the individual offering a great deal because he needs a few bucks quick is a rarity. 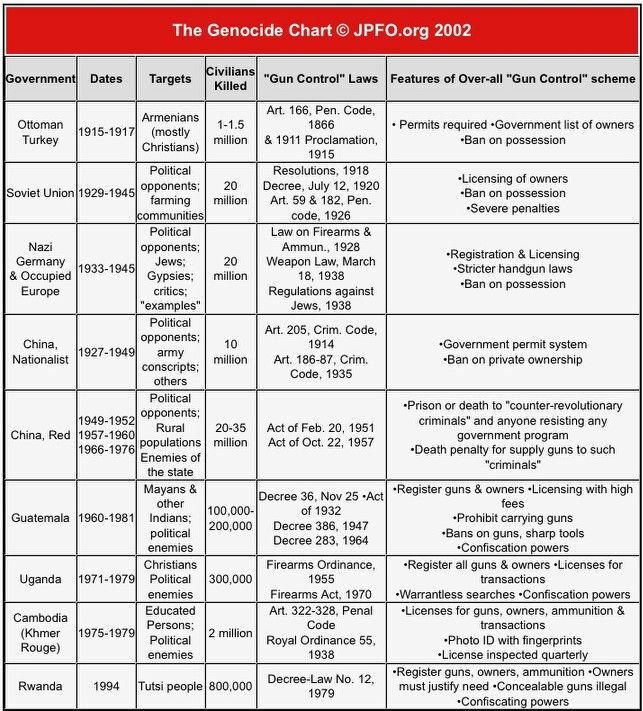 Obama's real plan is to ultimately ban all private sales (including between family members) so that a paper trail exists on as many firearms as possible to facilitate government confiscation. The "Internet Gun Sales" Lie: Criminals do not buy guns on the internet. It is literally impossible to buy guns direct on the internet and have them shipped to your house. Even James Comey, director of the FBI, was ignorant of this fact when testifying before Congress recently. Like gun shows, 95% or more of the guns advertised on the internet are advertised by licensed dealers who must comply with federal law. Any transaction between private individuals that crosses state lines must be performed by a licensed dealer in the buyer's state. Under existing law, the internet can be used only to advertise guns, not supply them directly to a non-dealer. The "Background Check" Lie: The Constitution does not actually use the phrase "innocent until proven guilty"; that concept is articulated by the Fifth Amendment, which says that the government shall not deprive citizens of "life, liberty, or property" without "due process of law" â€“ meaning that the burden of proof always rests with the government before one's rights can be suspended. Background checks on gun buyers, which have been in effect for 20 years, are a violation of the Due Process Clause because they require the individual to get clearance from the government before he exercises his Second Amendment rights. The "Smart Gun" Lie: Obama's proposal included a push for so-called "smart gun" technology, in which a gun may not be fired unless a specific user is electronically authorized to do so. In a sickening display of lowbrow pandering, Obama equated this concept with childproof aspirin bottles and cell phone apps that prevent unauthorized use. Of course, such technology would enable the government to prevent the supposedly "authorized" owner from using the weapon as well. Obama's performance â€“ delivered before a fawning audience of supporters â€“ was straight out of the Dictator's Handbook. Every single dictator in world history, from Caesar to Hitler to Stalin to Mao, has employed these same demagogic techniques. The American people have good reason to be frightened out of their wits over the future of the Republic, and the future of their individual liberties. When all the hectoring is finished, the professorial lecturing is done, all the political posturing is over, all that is left after executive gun control are tears. And crocodile tears at that. Even for those of us long tired of the false hopes and outright lies from this White House, President Obamaâ€™s crude gunplay Tuesday was pretty shocking. â€œEvery single year, more than 30,000 Americans have their lives cut short by guns. Thirty thousand. Suicides, domestic violence, gang shootouts, accidents. Hundreds of thousands of Americans have lost brothers and sisters or buried their own children,â€� he waxed on, as if he really intended to do something about it. In the end, he offered nothing. Nothing that isnâ€™t already the law. More paperwork. More busy work. To be sure, Tuesdayâ€™s announcement was an open admission that, indeed, the president does intend to use medical records from Obamacare to create a national â€œcrazy listâ€� of people, especially the elderly, who cannot have guns to defend themselves. Two Senate Republicans are seeking to understand the Veterans Affairs office practice of reporting veterans to the FBIâ€™s National Instant Criminal Background Check system. Currently a veterans assigned a fiduciary trustee to act on their behalf is automatically declared â€œmentally defectiveâ€� and is reported to NICS, the database Federal Firearms Licensees use to determine whether a prospective buyer is eligible to buy guns. 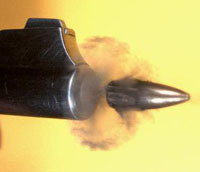 As of December 2015, the VA has reported 260,381 individuals to the FBI, effectively making them prohibited firearms possessors under the law. U.S. Sen. Chuck Grassley, an Iowa lawmaker who is currently the Senate Judiciary Committee Chairman, finds this unacceptable. In an effort to fix the issue, Grassley, along with Senate Veteransâ€™ Affairs Committee Chairman Sen. Johnny Isakson, R-Ga., penned a letter to VA Secretary Robert McDonald last week and another to the subcommittee over the agencyâ€™s funding, questioning the practice. Making a due process argument, the lawmakers argue the VA uses the fiduciary trustee status of a veteran to regulate firearms possession without ever seeking to find out if the service member is a danger to themselves or others. Demanding answers, the senators want the VA to explain the process which now supplies over 99 percent of the individuals reported as being â€œmentally defectiveâ€� to NICS and how they satisfy the constitutional argument. Kentucky Senator Rand Paul has introduced legislation intended to protect the due process rights of veterans and senior citizens who are wrongly prohibited from purchasing a firearm by the federal background check system. The Protecting Gun Rights and Due Process Act would require veterans and seniors be â€œadjudicatedâ€� as mentally incompetent before their names can be added to the National Instant Criminal Background Check System (NICS). â€œAdjudication requires findings by a judicial officer or court, and the individual receives notice to participate with counsel,â€� explains a press release from Paulâ€™s office. Under the new bill, the Secretary of Veterans Affairs and Social Security Administrator would within 90 days need to remove names from the NICS list that were added without those people being adjudicated. In other words, the bill would require the agencies to wait for due process to take place before they can restrict oneâ€™s Second Amendment rights. Additionally the bill would mandate the Attorney General conduct yearly reviews of the names in the NICS database to ensure that their due process rights were upheld, with those who were not adjudicated having their rights restored. Pro-Second Amendment organizations such as Gun Owners of America and the National Association of Gun Rights have supported the legislation, according to a statement from Paulâ€™s office. Below is a statement sent out from Sen. Paulâ€™s office regarding the bill. If you are a recipient of or have filed for Social Security disability, you may soon have your Second Amendment right nullified. Back in January, Obama penned an executive order allowing the Social Security Administration (SSA) to report certain individuals to the FBIâ€™s National Instant Criminal Background Check System, the database Federal Firearms Licensees use to determine whether a prospective buyer is eligible to purchase firearms. â€œThe reporting that SSA, in consultation with the Department of Justice, is expected to require will cover appropriate records of the approximately 75,000 people each year who have a documented mental health issue, receive disability benefits, and are unable to manage those benefits because of their mental impairment, or who have been found by a state or federal court to be legally incompetent,â€� a fact sheet released by the White House on January 4 states. Acting Commissioner Carolyn W. Colvin signed the rule and it was posted to the Federal Register on April 28, according to Guns.com. The â€œImplementation of the NICS Improvement Amendments Actâ€� spells out a five-step qualification process that will be used to first identify and then report selected Title II and Title XVI beneficiaries to the Department of Justice. Americans who have filed a claim with the agency based on disability and are adjudicated as having a diagnosed Mental Disorder Listing, are over 18 but under retirement age, and receive benefits through a representative payee approved by SSA due to being incapable of managing their own payments will have their Second Amendment right stripped. â€œThe SSA has reported that as many as 75,000 individuals per year could meet such guidelines. As of March 2016, the agency reports that 65,488,000 people are receiving Social Security, Supplemental Security Income (SSI), or both, making the estimated number expected to report to NICS comprise 0.11 percent of those currently receiving benefits,â€� notes Chris Eger. Moreover, people determined to have issues with the â€œcapacity to interact independently, appropriately, effectively, and on a sustained basis with other individualsâ€¦ such as family members, friends, neighbors, grocery clerks, landlords, or bus driversâ€¦ [and] demonstrate impaired social functioning by, for example, a history of altercations, evictions, firings, fear of strangers, avoidance of interpersonal relationships, or social isolationâ€� will be classified as mentally disabled and not qualified to exercise the Second Amendment. According to the government, â€œsocial impairmentâ€� is a mental illness and includes those who either are unable or unwilling to â€œinitiate social contacts with others, communicate clearly with others, or interact and actively participate in group activities.â€� The classification is based upon â€œcooperative behaviorsâ€� that include â€œconsideration for others, awareness of othersâ€™ feelings, and social maturity.â€� According to the SSA, not â€œresponding appropriately to persons in authorityâ€� is a form of mental illness. For now, the ruling only applies to Americans who have filed for and receive government benefits and are medically determined to be afflicted by the above. However, considering government mission creep and the determination of the Obama administration and Democrats to reduce the number of Americans practicing their rights, we can expect an effort to adjudicate more individuals incapable of possessing firearms. In 2014, under the cover of â€œgun violenceâ€� and in the wake of Sandy Hook, the Obama administration pledged federal dollars to an initiative designed to test students in K-12 public schools for mental illness. â€œPublic schools, which have increasingly taken on aspects of psychiatric clinics in recent years, will get infused with more than $150 million in federal grants to further this agenda under the auspices of Obamaâ€™s 2013 executive action titled â€˜Now is the Time to Do Something About Gun Violence,â€™â€� WND reported. In February, Infowars reported on a recommendation by the United States Preventive Services Task Force to force health insurance companies to pay for mental health screening. The proposed rule is part of President Obamaâ€™s push to tighten gun laws while bypassing Congress. News of the plan to add some Social Security recipients to the National Instant Criminal Background Check System, or NICS, was first uncovered by the Los Angeles Times last summer and has faced fierce opposition from gun rights groups ever since. Though Social Securityâ€™s rule limits the scope of those banned from owning firearms compared to the VA it would still potentially target a larger group of people. Tens or hundreds of thousands of Americans could be affected. The rule also includes a procedure for recipients to challenge the agencyâ€™s determination that they should be added to NICS. The rule does not require that a recipient be determined to be a threat to themselves or others before being barred from gun ownership. Thatâ€™s a major sticking point for gun rights advocates. In May of this year, the SSA published a Notice of Proposed Rulemaking. It received over 91,000 comments relating to the proposed rule. Of those, 86,860 were identical letters submitted by various individuals of a single advocacy group, opposing the proposed rule. On December 19, 2016, the SSA published a Final Rule on the Federal Register pertaining to its regulations. While the regulations take effect on January 18, 2017 compliance is not required until December 19, 2017. Guns will be banned for ALL people who receive Social Security. Two criteria to lose gun rights under this BIPARTISAN gun ban: 1) you're judged mentally impaired, 2) your money is handled by a representative payee. Anybody who has money direct-deposited into a bank account has, technically, made that bank the representative payee. This is 40-50 million Americans on Social Security (retirement). Mentally impaired...just look at the new DSM (the psychiatric diagonostic bible). Everything is mental illness. Everything. It's just a matter of time until all SS recipients are denied the "privilege" of gun ownership, and this was done to us by BOTH parties (the two wings of our unified oligarchy).